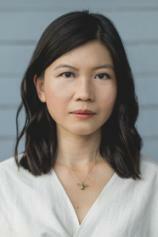 Rachel Heng's fiction has received a Pushcart Prize Special Mention and Prairie Schooner's Jane Geske Award. An extract from SUICIDE CLUB was included in The Huffington Post's "15 Stellar Short Stories You Can Read Online" list. Rachel graduated from Columbia University with a BA in Comparative Literature & Society and Economics and is currently a James A. Michener Fellow at the Michener Center for Writers, UT Austin, where she is pursuing her MFA in Fiction and Screenwriting. She is also currently an editorial assistant for the O. Henry Prize anthology. Rachel grew up in Singapore and now lives in Austin, Texas with her husband and cat. Lea Kirino is a “Lifer,” which means that a roll of the genetic dice has given her the potential to live forever --- if she does everything right. But her perfect life is turned upside down when she spots her estranged father on a crowded sidewalk. His return marks the beginning of her downfall as she is drawn into his mysterious world of the Suicide Club, a network of powerful individuals and rebels who reject society’s pursuit of immortality, and instead choose to live --- and die --- on their own terms. In this future world, death is not only taboo; it’s also highly illegal. Soon Lea is forced to choose between a sanitized immortal existence and a short, bittersweet time with a man she has never really known, but who is the only family she has left in the world.